The Mayo Clinic has committed more than $10 million toward economic development around its Rochester, Minn., campus. Story updated at 3:55 pm ET with a statement from the Mayo Clinic. The Mayo Clinic wants to “prioritize” commercially insured patients over those covered by Medicare and Medicaid, according to a speech by its CEO late last year, raising concerns about medical ethics and the broader repercussions of a highly regarded health system's willingness to boldly articulate these preferences. The Minneapolis Star Tribune first reported the news after obtaining a transcript of the speech and verifying it with the Mayo Clinic. “We're asking ... if the patient has commercial insurance, or they're Medicaid or Medicare patients and they're equal, that we prioritize the commercial insured patients enough so ... we can be financially strong at the end of the year to continue to advance, advance our mission,” CEO Dr. John Noseworthy told staff. 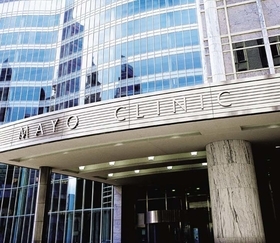 More than 1.3 million patients a year visit the Mayo Clinic. The Rochester, Minn.-based health system operates in five states, including campuses in Arizona and Florida. In 2016, it reported $11 billion in revenue and $475 million in income. That year, U.S. News & World Report ranked it as the top hospital in the country. For the Mayo Clinic health system to articulate its preference for patients with commercial insurance, which pays better than government insurance, was disappointing and surprising, said Arthur Caplan, head of the bioethics division at NYU Langone Medical Center. While it may be unseemly or unethical, it is not illegal for Mayo Clinic, a private entity, to prefer patients on the basis of their insurance coverage. Discriminating against patients is illegal only in the emergency room. Some physicians already choose not to accept Medicare or Medicaid, Caplan pointed out. Mayo Clinic's nondiscrimination policy statement states, “As a recipient of federal financial assistance, Mayo Clinic does not exclude, deny benefits to, or otherwise discriminate against any person” based on race, gender, religion and other characteristics, including “status with regard to public assistance.” This statement applies to “admission to, participation in, or receipt of the services and benefits under any of its programs and activities,” through Mayo itself or any contractors. In 2016, the Mayo Clinic provided $629.7 million in charity care, including $548 million in unpaid care for patients who were on Medicaid or were indigent. It also put more than $600 million toward capital expenditures, as part of its multiyear plan to invest in new equipment, facilities and technology. That proportion of uncompensated care represented an increase of nearly 71% from the $321 million in unreimbursed care that Mayo Clinic provided in 2012. Private insurers reimburse healthcare providers at higher rates than Medicare and Medicaid. But the number of patients on public insurance has grown in recent years. The 2010 Affordable Care Act gave states the option of expanding Medicaid, leading to some 15.7 million gaining coverage through the insurance program for low-income people. Meanwhile, more and more baby boomers are turning 65 and signing up for Medicare. In 2016, hospitals in aggregate were expected to post losses of 9% on Medicare patients, the Medicare Payment Advisory Commission said in a report that year. By comparison, in 2014, hospitals lost 5.8% on Medicare patients. What that shift will constitute in concrete terms remains unclear. If two patients had comparable conditions, with one privately insured and the other on Medicaid, would the Medicaid patient receive treatment later than the privately insured patient or not at all? In a statement provided to Modern Healthcare, the Mayo Clinic said that Medicare and Medicaid beneficiaries accounted for half of their services. "Medical need is the top factor in the decisionmaking process for appointment scheduling. After medical need, we consider if the patient can access the care they need closer to home and often work with their local provider to provide the highest level of care locally," it explained. "To fund its research and education mission, Mayo needs to support its commercial insurance patient numbers in order to continue to subsidize the care of patients whose insurance does not cover the cost of their care," it added. "Balancing payer mix is complex and isn't unique to Mayo Clinic. It affects much of the industry, but it's often not talked about." Noseworthy's statement was a rare articulation of a broader trend—trying to make up for losses from Medicare or Medicaid patients with commercially insured patients—that the industry tends to try to conceal.